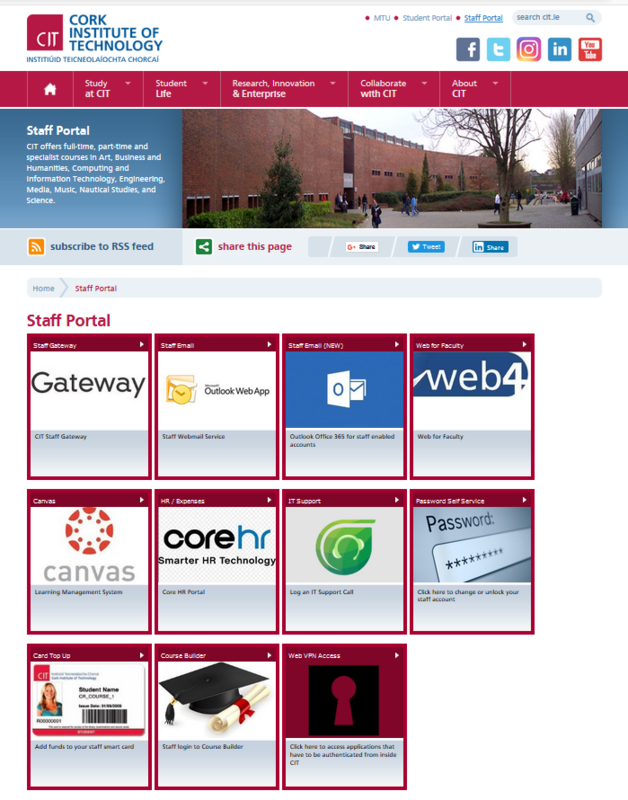 The Staff Portal is the institute’s intranet site. It is a resource which provides an access point to all the information, resources and services that you might need in the course of your working day. It can be accessed through the CIT webpage. 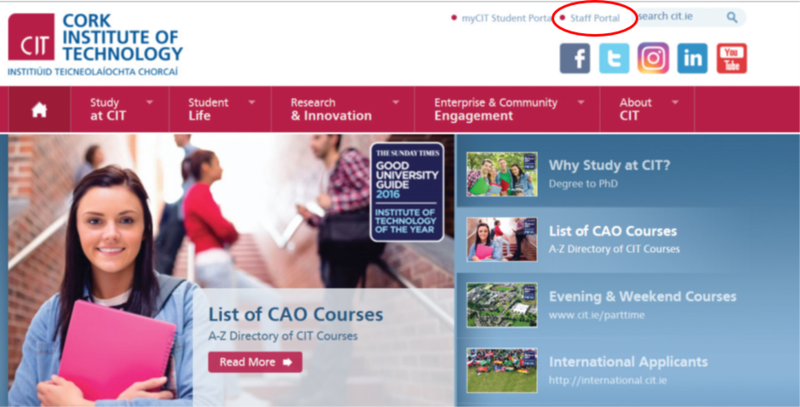 The Staff Gateway – the CIT Staff extranet application. Staff Email Outlook Web App – to access email for staff who are still using the Microsoft Outlook Web App. Staff Email Outlook Office 365 – to access email for staff who have Outlook Office 365 enabled. Web For Faculty – to access the CIT student information database. Canvas – to access CIT’s Virtual Learning Environment. HR/Expenses – to access HR related information such as payslips, expenses, etc. IT Support – to log an IT Support call or access the IT knowledgebase. Password Self Service – to change your password or unlock your staff account. Card Top Up – to add funds to your CIT staff smart card. Course Builder – to create new programmes and/or modules or update existing programmes/modules. Staff Travel – to book work related travel options online. Web VPN – to access applications that have to be authenticated from within CIT.